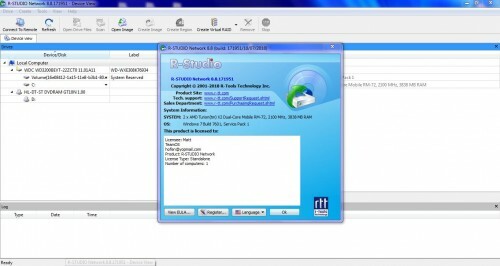 Direct - R-studio V8.8 Build 171951 Network Edition Multilingual | Team OS : Your Only Destination To Custom OS !! FAT12, FAT16, FAT32, exFAT, NTFS, NTFS5, ReFS (a new file system introduced in Windows 2012 Server), HFS/HFS+ (Macintosh), Little and Big Endian variants of UFS1/UFS2 (FreeBSD/OpenBSD/NetBSD/Solaris) and Ext2/Ext3/Ext4 FS (Linux). if the disk file system is heavily damaged or unsupported, R-Studio searches for specific data patterns (“file signatures”) typical for certain file types (Microsoft Office documents, jpgs, etc.). Such known file types can be custom-defined. Basic(MBR) and BSD (UNIX) partitions layout schema and Apple partition map. Dynamic partitions over GPT are supported as well as dynamic partitions over MBR. Partition or its part. Such image files can be compressed and split into several files to put it on CD/DVD/flash or FAT16/FAT32/exFAT. Then the image files can be processed like regular disks. a professional HDD imaging device specifically built for data recovery from hard drives with hardware issues. Such integration provides R-Studio with a low-level fine-tuned access to drives with a certain level of hardware malfunction. Moreover, it allows disk imaging and analyzing be performed simultaneously. 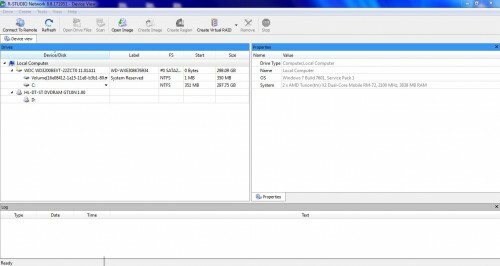 That is, any sector R-Studio accesses on the source disk will be immediately cloned to a clone disk and any other data recovery operation will be made from that clone disk avoiding further deterioration of the source disk and great reduction in processing time. An Intel-compatible platform running Windows 2000, XP/2003/Vista/7/8/2012 Server/8.1/10. At least 32 MB of RAM, a mouse, and enough disk space for recovered files, image files, etc. 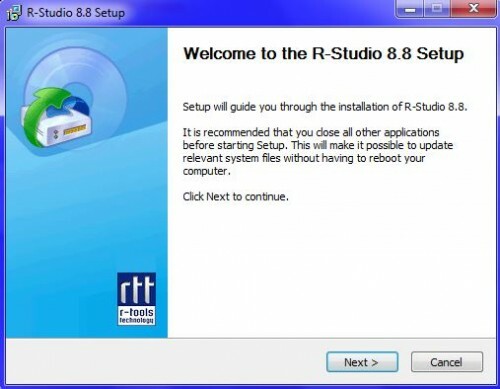 The administrative privileges are required to install and run R-Studio utilities under Windows 2000/XP/2003/Vista/7/8/2012 Server/8.1/10.